During Thanksgiving weekend, after the turkey begins to disappear and you want to eat the extra piece of pie that has been calling your name, keep the force strong, walk away from the table and instead, make your way to the Holland Center for a powerful performance of Star Trek presented by the Omaha Symphony. With the Resident Conductor Ernest Richardson the orchestra will perform Academy Award-winning composer Michael Giacchino’s score while the 2009 J.J. Abrams-directed film will be shown in its entirety on a screen above the musicians. If you think you have not heard of Giacchino, I am certain you have seen one of the TV shows or films he has created the score for. The Incredibles, Lost, Ratatouille, Tomorrowland, Jurassic World, Inside Out and his award-winning score for Up are just some on his long list. 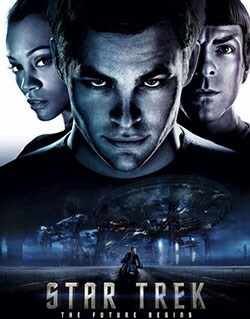 Star Trek is the 11th in the film franchise, but is considered a reboot of the 1960s TV series, featuring the characters trekkies have known and loved. Designed as a twist on the classic, the film received its praise and was followed by a sequel, Star Trek: Into Darkness. There is little information regarding the third movie in the works, but the fact it has an IMDB page means something. Whether you are a new or old trekkie, simply like the movies or listening to the soundtrack, enjoy the Omaha Symphony or perhaps you just need to step away from the leftover turkey and mashed potatoes. Join the symphony and enjoy an evening watching a movie in a whole new and interactive way. For now, live long and prosper.